Everyone at Associated Response is proud to be supporting Gas Safety Week 2014, taking place 15th – 21st September. Gas Safety Week is an annual event to raise awareness of gas safety and the importance of taking care of your gas appliances. It is coordinated by Gas Safe Register, the official list of gas engineers who are legally allowed to work on gas. 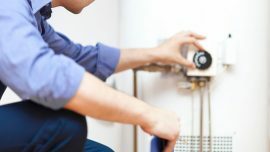 Badly fitted and poorly serviced gas appliances can cause gas leaks, fires, explosions and carbon monoxide poisoning. Every year thousands of people across the UK are diagnosed with carbon monoxide poisoning. It is a highly poisonous gas. You can’t see it, taste it or smell it, but it can kill quickly with no warning. By taking care of your gas appliances properly you are taking care of your home and your loved ones. Watch this video and follow these few simple checks to keep you and your family safe. Check your engineer is Gas Safe registered. 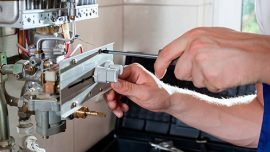 You can find and check an engineer at www.GasSafeRegister.co.uk – our registration number is 501758 – click HERE for our link on the Gas Safety website. Check your engineer’s Gas Safe Register ID card. Make sure they are qualified for the work you need doing. Every one of the engineers at Associated Response is registered with their own number. You can find this information on the back of the card. Check for warning signs your appliances aren’t working correctlye.g. lazy yellow or orange flames instead of crisp blue ones, black marks on or around the appliance and too much condensation in the room. Know the six signs of carbon monoxide poisoning – headaches, dizziness, breathlessness, nausea, collapse and loss of consciousness. 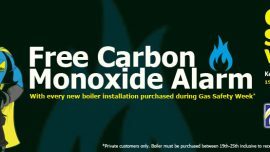 For gas safety advice contact Associated Response 020 8366 6420 or the Gas Safe Register website at www.GasSafeRegister.co.uk. Alternatively call the free helpline on 0800 408 5500.